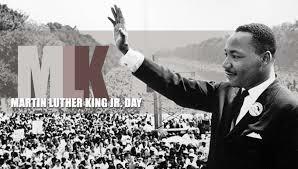 Martin Luther Kings Jr Day or MLK Day is celebrated as a federal holiday in the USA. This MLK Day is celebrated on 3rd Monday of January every year. So MLK Day changes every year. This federal holiday is to honor him for his best and brave work for civil rights. When Martin Luther King Jr was born? Martin Luther King Jr was born on 15th January 1929. He was a brave man and struggled life-time for civil rights. So the president of USA decided to celebrate his birthday as a federal holiday in 1983. How and when MLK Day celebration started? The president Ronald Reagan signed a bill on 02 Nov 1983 for MLK Day. According to that bill. It is decided that MLK Day will be celebrated every year on 3rd Monday of January. And also decided that it will be celebrated as a federal holiday every year. In this way in 1983, Martin Luther King Jr Day approved as a federal holiday. 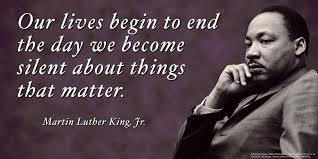 MLK Day celebrated on 15th January was the 1st federal holiday for an African American. Which service will be affected by MLK Day? The U. S. Postal service will be closed for MLK Day while the UPS will remain open. 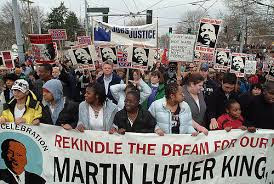 Most of the nationwide banks like Federal Reserve Banks, TD Banks, and Wells Fargo will be closed for the celebration of Martin Luther Kings Jr Day. But most of the ATMs and the customer support services will be functional. Just before a year in 2018, it is celebrated on the 15th of January. While in 2019 it is celebrating on 21st January. Next year in 2020, it will be celebrated on January 20. According to Wikipedia "king was the chief spokesperson for nonviolent activism in the Civil Rights Moment, which successfully protested racial discrimination in federal and state law. The campaing for a federal holiday in King's honor began soon after his assassination in 1968. President Ronald Reagan signed the holiday into law in 1983, and it was first observed three years later. At first, some states resisted observing the holiday as such, giving it alternative names or combining it with other holiday. it was officially observed in all 50 states for the first time in 2000"
Friends, These are some special facts about Martin Luther King Jr Day or MLK Day.